Punarnava Mandur is an excellent herbal remedy for swelling in the body due to any reason. There are various reasons of swelling in the body. Swelling, also referred to as anasarca or edema, is a medical condition characterized by an excessive build up of fluid within the body’s tissues. This fluid build-up can cause a person to rapidly increase his or her weight in a short period of time, ranging from days to weeks. The most commonly affected areas of the body are the skin, organs, glands, breast, ankles, legs, and feet. Swelling may be generalized throughout the body or localized to a single area. There are two basic types of swelling a person may experience: pitting edema and nonpitting edema. Pitting edema is a type of swelling that leaves an indentation in the skin when the swollen area is pushed on for five seconds and then quickly removed. Non-pitting edema, on the other hand, does not leave a pit. A certain amount of slight swelling is considered normal during warmer months. This is particularly true for people who walk or stand a lot throughout the day. In addition, a pregnant woman may experience a slight amount of swelling from the stress of carrying a child. In both cases, there is generally no cause for concern. It is a classical ayurvedic formulation for anemia, Low Platelet count, Low RBC count, Swelling around Joints, Generalised Swelling, Gout and other endotoxins accumulation. It is also diuretic and is useful in renal disorders. In renal failure, it is used with Mutrakrichantak Churna for getting good results. Kidney support can also be used with it. my mother need this medicine for her further treatment. 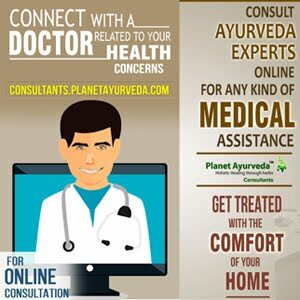 Nice site to take care of different types of diseases and learn maximum about managing illness with ayurvedic medicines.